FIRST is the premier organization and recognized global leader in incident response. Membership in FIRST enables incident response teams to more effectively respond to security incidents reactive as well as proactive. Currently FIRST has more than 400 members, spread over Africa, the Americas, Asia, Europe and Oceania. Space for discussion in order to reflect on our collective experiences, focus on current challenges and envision strategies on how we could work together to improve security in academic environments. Incident Detection and Response at Scale. Designs, develops, and conducts security challenge and competition exercises for the FIRST.org community. For a global approach towards scoring metrics for vulnerabilities. To define Threat Intelligence in the commercial space. The Ethics SIG seeks to further the professionalization of the FIRST Community and improve the global understanding of SIRTs through the development of an ethical code for FIRST Members. In ICS-SIG we bring together expertise from several sectors to create processes, best practices and incident response support recommendations and package useful open source tools for the ICS environments. The initial goals of this SIG are to collaboratively develop an extensible framework for defining information exchange policy and a set of standard definitions for most common aspects. The core mission is to support existing and new FIRST members to practice information sharing and acquire feedback from the members to improve the information sharing practices. This SIG will advocate and promote the sharing of malware analysis tools and techniques to enable CSIRTs to combat and analyze malicious code. To improve CSIRT incident management practices within the FIRST community. Develops and maintains a standard for exchanging passive DNS information between organizations. The Red Team SIG provides a forum for practitioners to discuss the state of the art for tools, technologies, processes and methodologies for red team activities and to share experiences and best practices. The TLP SIG governs the standard definition of TLP for the benefit of the worldwide CSIRT community and its operational partners. The goal of this SIG is to provide forum for Internet Infrastructure vendors. Develop and execute a strategy for improving vulnerability coordination globally. Primarily chartered to research and recommend ways to identify and exchange vulnerability information across disparate vulnerability databases. 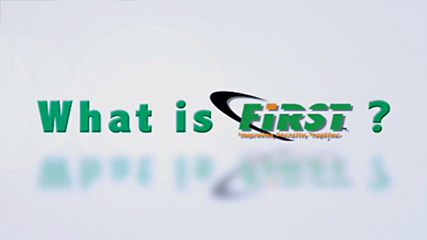 What is FIRST to you?